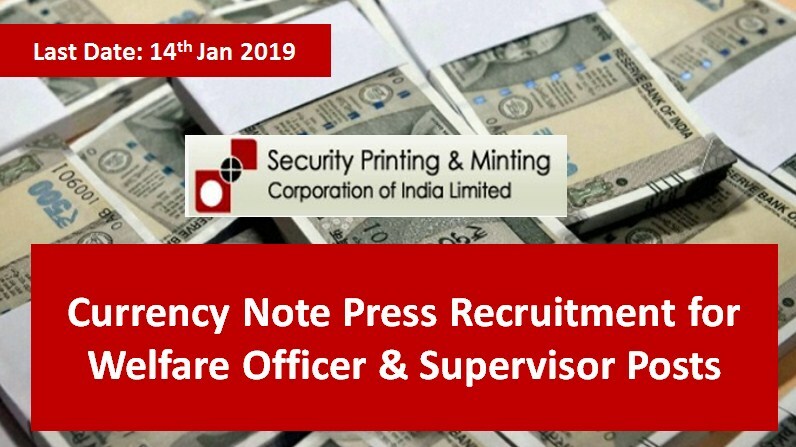 Currency Note Press a unit of Security Printing And Minting Corporation Of India Ltd announced online notification for the posts of Welfare Officer at A-2 level & Supervisor (Technical Operation Printing) at S-1 level. 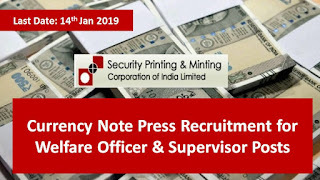 Applicants can apply online through the company’s official website (www.cnpnashik.spmcil.com). Fees: Rs. 400 for General and OBC. SC/ST/PWD/Ex-Servicemen exempted from payment.